As virtually every Maryland auto accident lawyer will tell you, it is almost invariably impossible to get the Maryland Automobile Insurance Fund (MAIF) to make a fair offer in a car crash case. The only language MAIF understands is a lawsuit and, quite often, the don't understand a lawsuit until days before the trial. MAIF sends out much of its work to outside lawyers, requiring them to pay their fair share of legal fees. So what makes MAIF so bold? Economic realities embolden MAIF. Almost all of its policies have limits of $30,000 per person with a maximum of $60,000 in maximum total coverage for the entire accident. If the case is worth more than this, MAIF will pay it. But MAIF will put you through the litigation process in most of these cases. MAIF’s theory – our lawyers believe – is that by taking a tough line in cases where the upside against MAIF is small, it discourages Maryland accident lawyers from bringing claims. MAIF positions itself like the drunken bully at the bar that most of his potential adversaries think they could handle in a fight. But they are dissuaded from challenging him because they know he is looking for a fight. To extend this metaphor, MAIF will quit the fight before getting badly hurt. But you have to punch MAIF in the face a few times. So MAIF’s philosophy is that over the long run, taking an unreasonable posture on settlements is a more profitable economic model. This is so particularly in smaller cases where Maryland auto accident lawyers know that MAIF will litigate so they push their clients to accept any settlement offer because they are unwilling to go to fight for their clients at trial. MAIF has only 1.6% of the market share for auto insurance policies written in Maryland, so you might think our lawyers would not regularly see claims with this insurer. But MAIF’s drivers are statistically much worse - a lot worse, actually - than most drivers, so our lawyers disproportionately see MAIF accident cases in our office. 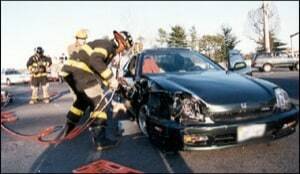 Our attorneys regularly stand up to MAIF in serious car accident cases. If you have been injured in an automobile accident in Maryland where this insurer is involved, call our accident lawyers at 800-553-8082 or click here for a free consultation on your claim.